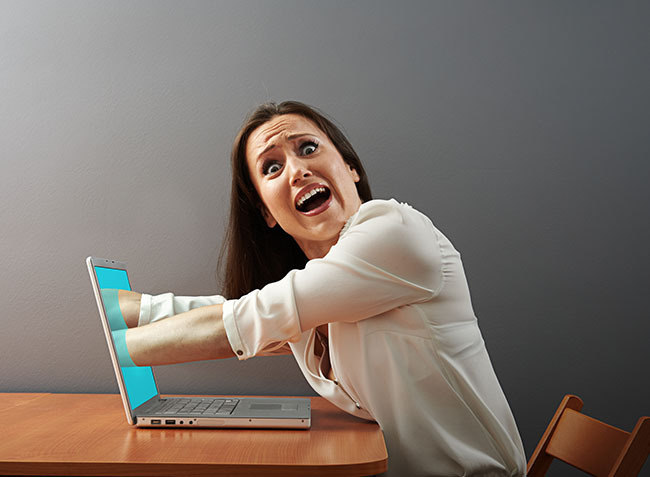 “OMG, that email subject line totally reached out and grabbed me!” Image source. Psst: This post was originally published in 2013, but we recently gave it a refresh during our two-week publishing hiatus. Since launching the Unbounce Marketing Blog, this post has become one of our top-performing posts of all time. We hope you enjoy the read. The first thing I do when I wake up is grab my phone and check my email. I go through and delete all the unimportant emails so that when I get into the office, a fresh inbox awaits. However, when I see a subject that catches my eye, I typically read that email right away. That’s the power of email. Social networks come and go, but email marketing has been and still is a great way to connect with, engage and convert your audience. But how do we cut through the noise and the huge amount of SPAM that hits your prospects’ inboxes every day? Let’s explore seven powerful email subject lines that you can use to better engage with your list. I used the subject line above in a cold recruitment email and received a 70% open rate along with a 25% conversion rate. Because it was a cold email, I made sure to tell the recipient where I came across their photos in the body of the email, followed by a quick introduction to the company. This subject line shows that flattery is a great way to get your recipient’s attention. However, you want to make sure that you are not baiting your recipients with this subject line and then trying to sell your services. I like to use flattery when I’m either recruiting someone or trying to interview an influential person for my podcast. Use flattery to your advantage. Do NOT bait and switch. For example, do not use the subject line “Your AMAZING website” and then try to sell your SEO services. Flattery is best used for recruiting someone or to land an influential person for your podcast, blog or web show. Worried your subject line is less than stellar? 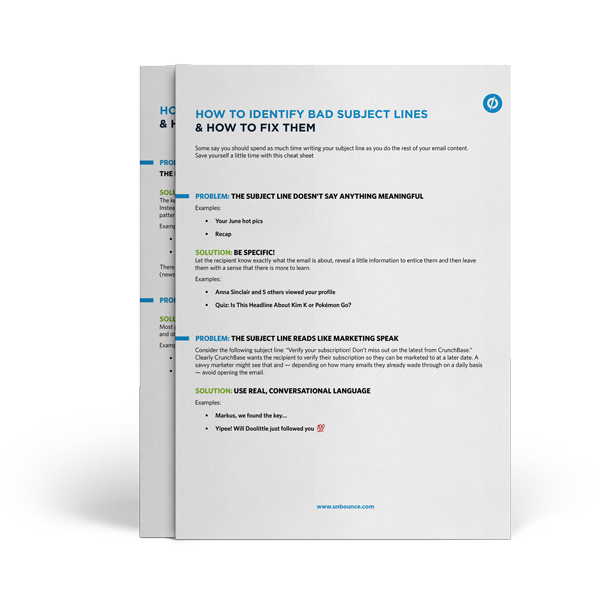 Download our FREE Cheat Sheet to learn how to identify bad subject lines... and how to fix them. 2. Were we boring you? Were we boring you? Image source. This was a subject line used by Sperry Van Ness. At the time, they were receiving an average open rate of 30%, which is above industry standards. However, the company felt that it was mostly the same people who were opening the emails. The opening paragraph included a message about how many of the subscribers were not opening the newsletter. Sperry Van Ness then asked subscribers if they wanted to stay on the list or if there was anything that the company could do to better communicate their message. The open rate skyrocketed to over 50% and they surprisingly did not receive as many unsubscribes as they originally thought. In fact, people actually apologized for not being more involved. Try using a subject that is completely unexpected. Using a question in your subject lines is a great way to get someone’s attention. Neil Patel is a master of writing catchy blog headlines, and if you’re an email subscriber to his blog, the headlines also become the subject lines of his emails. In fact, email marketing is how he built his first business. In his blog post, he goes into great detail on how you can use email marketing to launch your first business. It’s a must read. The reason why I love this subject line is that it tells a hero’s journey. We all start out as someone looking to build an audience. We don’t have any readers, any listeners or any viewers. The subject line also implies that Neil will provide tactical action items that we can use to grow our respective audience. Use a subject line that relates to your audience’s current state of business. Inspire them with real numbers and show them how you did it so they can do it themselves. I recently saw this subject line used by Trey Smith of GameAcademy promoting his free app business kit. Trey used this subject line as a follow-up email from the previous day. The 60.34% opt-in rate immediately caught my attention. Within the email, Trey explains that he A/B tested five different landing pages and that the one included in the email converted at a whooping rate of 60.34%. Makes you want to click on the landing page doesn’t it? He also goes on to state that it’s one of the highest conversions he’s ever seen. Lastly, he talks a bit more about the free app business kit and ends with a call to action to download the kit (which I did from the first email he sent). This is a great subject line to use when you’re following up on those who haven’t registered for your webinar, downloaded an ebook or signed up for a course. You don’t necessarily need to be A/B testing your pages. You can also share the amazing results you’ve seen from the previous email. Use mind-blowing stats in your subject lines to build intrigue. Stats in subject lines are great to send reminders to those who have not engaged with your product or service. Pat Flynn of SmartPassiveIncome uses the above subject line in his first auto-responder email, and he provides AMAZING content within this email. Pat knows that to build a loyal audience you have to give them your best stuff at the very start on the relationship. And since his audience is primarily comprised of bloggers and online marketers, he understands that at times we all go through dry spells of coming up with great content to write about. That is why Pat shares his super secret tip a day after you sign up for his email. He knows once you read this content that he has your attention for the full span of the auto-responder series. Share your best content in the beginning of your auto-responder series. Use “secret” to attract attention, but use it carefully as not to disappoint your readers. 6. Would you like to unsubscribe? I know what you’re thinking, the money is in the email list! Why in the world would I ask anyone to unsubscribe? Well it’s simple. We want people who want to hear from us. We often get email addresses from lead generation sources such as conferences and webinars. And while these leads may have been interested in the initial offering, they may not be interested in hearing from us ever again. What we’ve found is that these people will most likely unsubscribe the next time you send any type of email, so we make it easy for them by sending an email dedicated to unsubscribing. By doing this, we scrub our list from those who will likely never engage with us and also earn the trust of those who open the email and didn’t unsubscribe. As an example, think of Jiro Ono, an 85-year-old sushi master and owner of Sukiyabashi Jiro, a Michelin three-star restaurant. He is also famously featured in the documentary Jiro Dreams of Sushi. He attracts sushi lovers from all around the world who call months in advance and pay top dollar for a coveted seat at his 10-seat restaurant. However, there’s a twist. Customers must eat whatever Jiro is serving that day and are not allowed to add anything to the sushi, which means no soy sauce and no wasabi. He treats sushi as an art and spends hours and hours crafting the perfect piece. While he could easily expand his space and triple his revenues, he wants to make sure he attracts the right customers, so if you’re looking for a bento box Sukiyabashi Jiro is probably not the right place for you. Scrub your lead list of those who will likely never engage with you. Don’t be afraid to be bold, it will earn trust with those who stay on. 7. Steve, where are you? 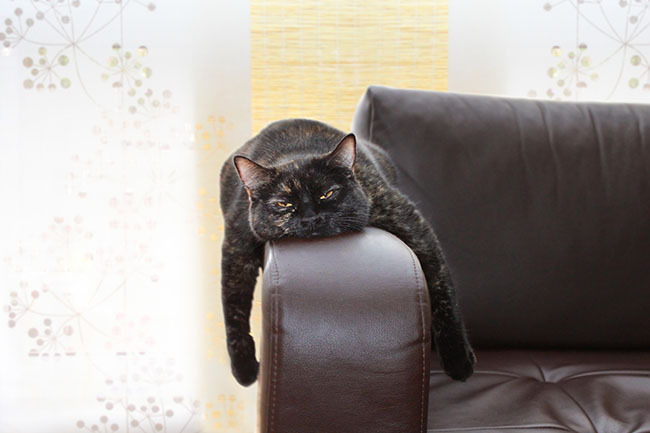 I used the subject line above to send a final reminder email for a webinar. It’s the very last email in a sequence of four emails I send promoting a webinar. With this email I was able to achieve a 43% open rate and a 15% click-through rate. To give you a little perspective, the industry averages are 24% and 4% respectively (according to Mailchimp). This subject line uses the psychological trigger (or internet slang) called FOMO (fear of missing out). It’s the feeling that one gets when you stray away from your normal social routine. FOMO is emblematic of the social age, made popular by sites like Facebook, Twitter and Instagram. When we scroll through photos and status updates, the worry that tugs at our minds is set off by the fear of regret, according to Dan Ariely, author of “Predictably Irrational” and a professor of psychology and behavioral economics at Duke University. He says we become afraid that we’ve made the wrong decision about how to spend our time. While the subject line will gain your recipient’s attention, you must make sure your content is also worth the attention. Personalize the subject line with the recipient’s first name to amplify the fear of missing out. Provide valuable subject matter within the body of the email. Even with the proliferation of social networks, email marketing is still a powerful tool. The problem is crafting the right subject line to cut through the noise and get your readers’ attention. Use the subject lines above as a template or as an inspiration to craft your own. What successful subject lines have you used in the past? Of the list above, which one is your favorite and why? Share your comments below. Steve Young is the Director of Product Marketing for SmartShoot, a marketplace that connects businesses and individuals with freelance photographers and videographers from around the world.. Follow Steve on Twitter.